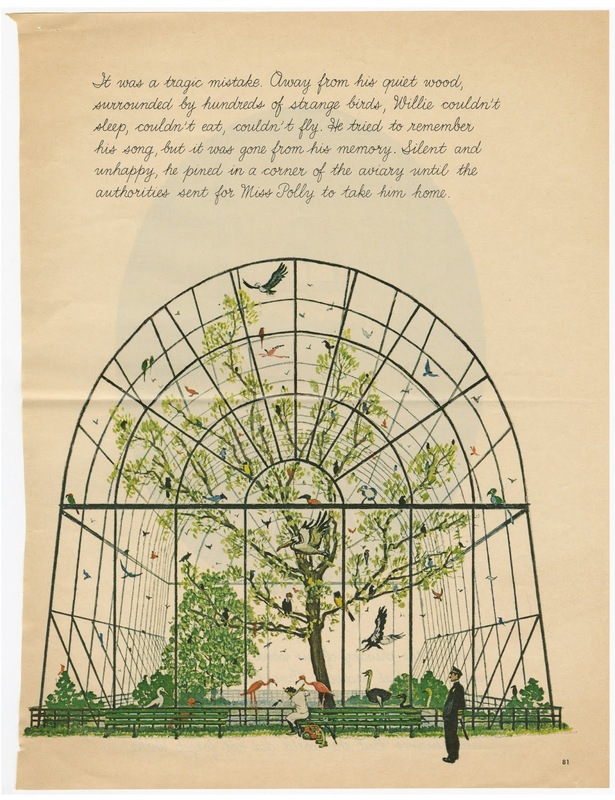 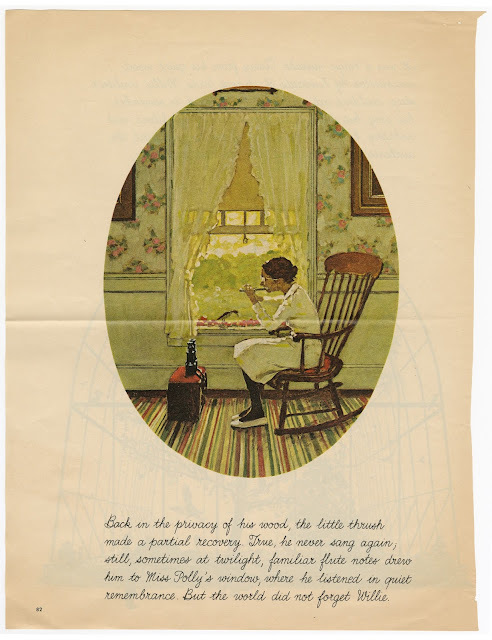 In the hope of helping to preserve vintage and historic illustration artwork from my own collection and in turn sharing it to inspire new artists and illustrators (and providing a reference for other fans of illustration), I am posting this series here on Rosehaven Cottage Studio called "Illustration Inspiration". 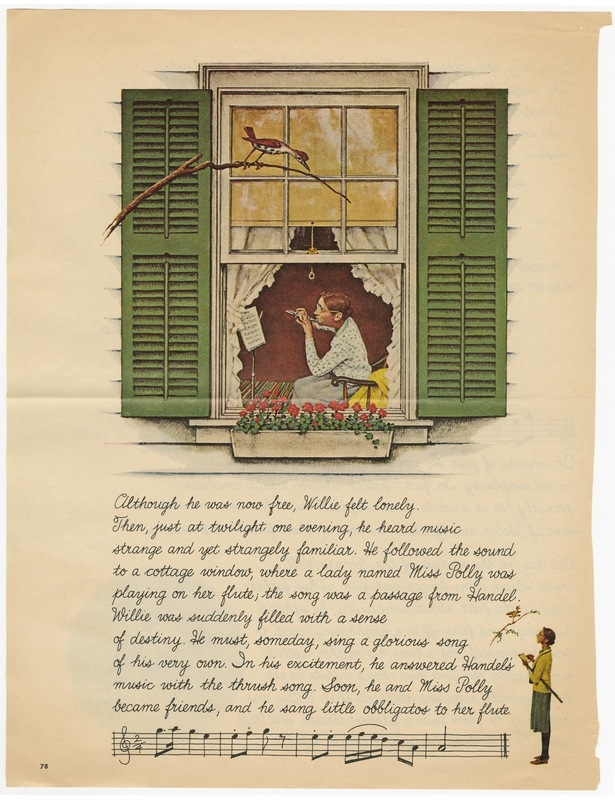 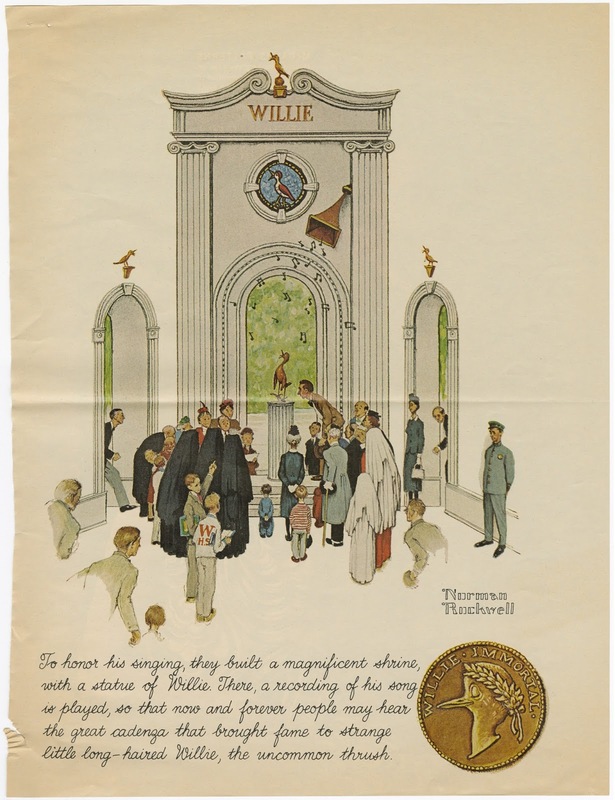 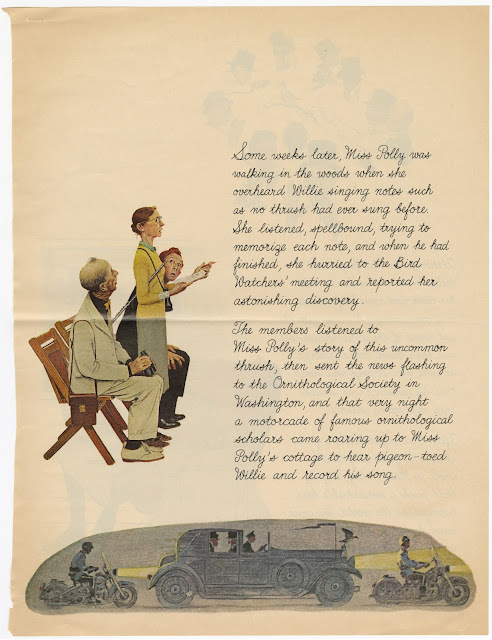 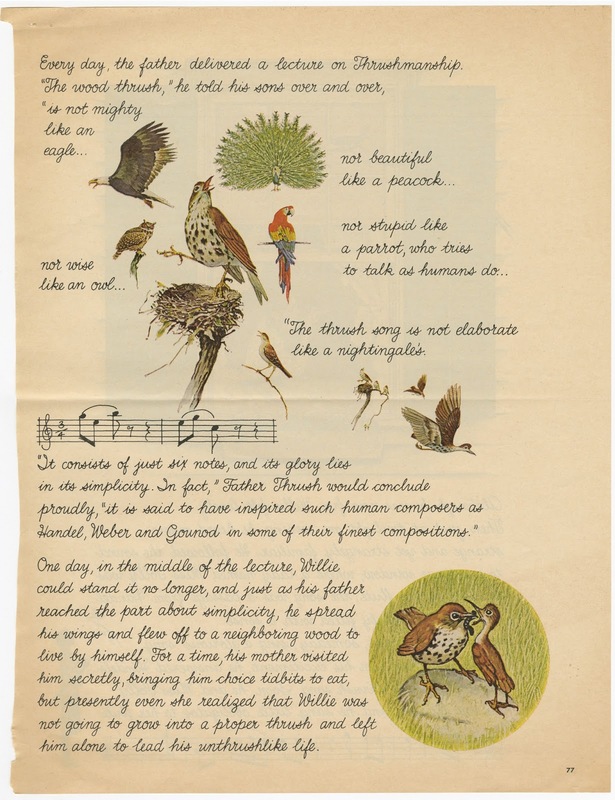 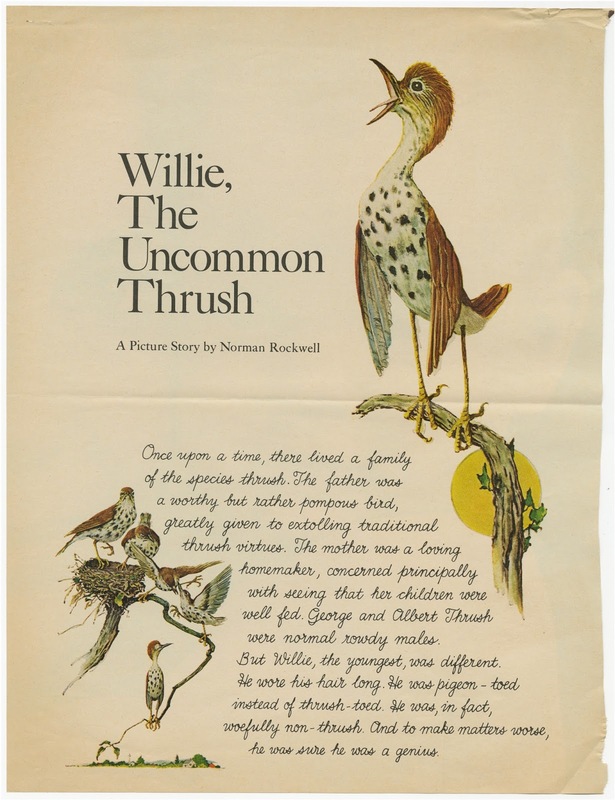 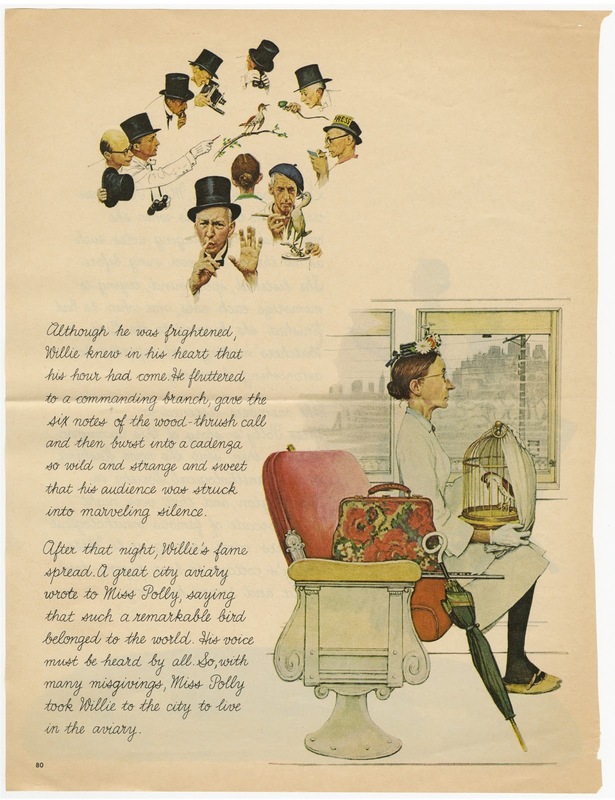 "Willie, The Uncommon Thrush" is an abridged version of "Willie was Different, The Tale of an Ugly Thrushling" written and illustrated by Norman Rockwell. The abridged version appeared in the April 1967 issue of McCall's magazine.